Ho! Ho! Ho! Happy Holidays! This week, we are bringing tons of holiday magic into our patch. 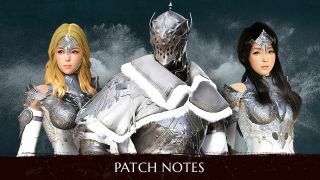 Celebrate the holidays with Black Desert Online with bundles specially packed for winter hitting the snowy shelves of the Pearl Shop! Don’t forget to check out the Little Monster Box which will be quite a cute surprise. We also have gifts dropping all over the Black Desert with Grandpa Cron on his super sleigh! Highly-desirable loot items will be much easier to get and help us grow a Cron Tree together to wrap up the holiday sizzle. There will not be a maintenance on the 27th of December, so please be ready to check out what’s coming for the entire holiday season! Update: In spirit of the holidays, we'll be extending Weekend EXP boost until 12/26/2017 08:00 UTC. Happy holidays! Grow a Cron Tree!Ancient Cron Trees will come to all capital cities in territories during the holidays. Decorate the trees with Cron Tree Decorations and get all the rewards!Period: 12/20 After Maintenance ~ 12/27 09:00 UTCMeet the NPC looking for Cron Tree Decoration of a designated town to accept the quest! 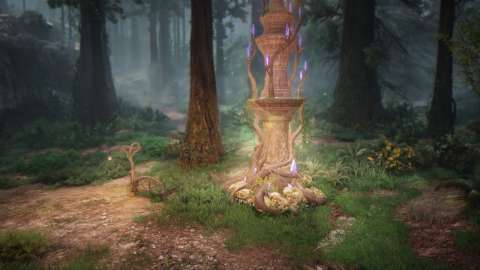 You can find them in Velia, Heidel, Calpheon, Altinova, Valencia City, and Grána.Complete the simple visit and return quests to hang the Cron Tree Decoration on the Cron Tree itself to claim [Event] Grandpa Cron’s Gift as completion reward!Click < Here > to check this merry event out in detail!UPDATE: We want all of our adventurers to know that a follow-up event is planned for launch very soon and it ALL DEPENDS ON how many stars we see on top of the Cron Trees! Please hang those decorations up and expect rewarding events to follow! Granpa Cron’s Gift Drop, Memory Fragment Drop Rate Up, Golden Items Drop Rate Up. 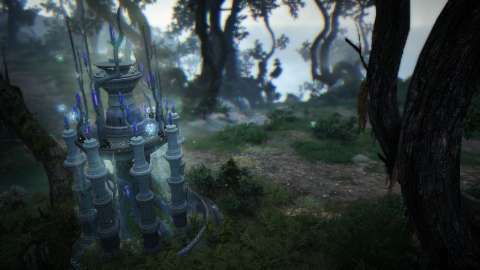 Grandpa Cron is coming to Velia, Heidel, Calpheon, Altinova, and Valencia City. Just before he starts riding his super sleigh around, gusts of snow will blow to hint you of his appearance! Click < Here > to check the list of Grandpa Cron’s gifts and this jolly event out in detail! Winter event background has been applied. Serbianca’s Voucher can be exchanged until January 10, 09:00. The end date of Attendance Rewards for the New and Returning users has been extended from December 31 23:59 UTC to January 3 23:59 UTC. The Black Spirit's Adventure event has ended. Fixed an issue where characters move to a different place when transferring a server after using Escape from Ancient Stone Chamber during the quest ‘Identity of the Artifact'. Default of Show Worker has been changed to hide. Fixed the issue where the Skill Add-on window that showed results only came out upon exiting conversation with NPCs. Fixed an issue where the annex was not able to be installed around Calpheon Defensive Command Post. A ladder on handrail around Defensive Command Post in Calpheon Castle has been added. Limited Trade Levels of getting Token of Desert Trading buff from NPC Samaya at Pilgrim's Sanctum:Sharing node have been changed from Master 2 to Artisan 2 and of getting Token of Desert Trading buff from NPC Marzana at Ibellab Oasis node have been changed from Master 1 to Artisan 1. Blue-grade Awakening Weapons can now be bought with Awakening Weapon Boxes. When you Right-click an Awakening Weapon Box, you will get a blue-grade Awakening Weapon for the character that opened the box. Fixed an issue where Traps were able to be installed in only few areas. Fixed an issue where the skill Resurrection was not applied during revival time in Conquest/Node War. Fixed an issue where NPC’s hair from Heidel looked unnatural. Seagulls in Marka Island are now sitting on the ground. Fairy Powder, a rare find obtainable from Gathering, has been added. Holiday-themed music will be playing in Velia, Heidel, Calpheon City, Altinova, Valencia City, and Grána during the event period. Awakening skills are now on Learnable Skill. Fixed an issue where character’s stance was intermittently changed when being debuffed. 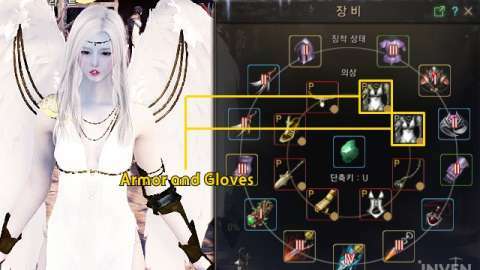 Warrior, Sorceress, Valkyrie, Striker, Mystic, Kunoichi, Ninja, Witch, WizardFixed an issue where auto-run was not stopped sometimes when hitting W key during auto-running. Fixed the graphical glitch with Warrior’s hair when wearing a Santa Hat.Fixed the issue where the Warrior’s Clead Outfit had the trousers showing through the skirt.Fixed an issue where another skill was applied late right after using the skill Chopping Kick and Spinning Slash when you learned it level 1. Fixed an issue where a falling motion was applied when using the skill Flow: Rushing Wind when the drop distance was not high enough.Fixed an issue where character had a falling motion intermittently while using the skill Flow: Call from Sky.Fixed an issue where the skill effects of following skills did not appear in other user’s screens:Pinpoint, Wind Charge (including Black Spirit’s skill), Tearing Arrow, Evasive Shot, Razor Wind, Bow SkillThe skill effect of Ranger’s Evasive Explosion Shot has been changed. Berserker will make a screaming face from becoming a Beast Form when using the skill Fearsome Tyrant.Fixed the broken graphics of Berserker’s Eckett Outfit.Fixed the overlapped mesh on Berserker’s knee when putting on Deathrone Shoes and other Outfits such as Clead or Canape Outfit together. Fixed an issue where the height of sitting character was changed when moving forward and backward.Fixed the graphical glitch with Tamer’s hair when wearing a Santa Hat. Fixed an issue where side hairs of Valkyrie were broken when she’s wearing Jousting from Customizing.Fixed an issue where Valkyrie’s Enslar Lancia Outfit dyed in red looked unnatural when you saw them far away. Fixed an issue where Witch’s Acher Guard Cape dyed in red looked unnatural when you saw them far away. Fixed the graphical glitch on Wizard’s Inquirer's Destiny Hat that happened with certain a customization.Fixed the issue where the portrait of young Wizard was not shown but the image of old Wizard. Fixed an issue where the skill Fiery Angel was applied late right after using the skill Projection II~ IV.Stamina requirement to use the skill Retaliation has been removed. 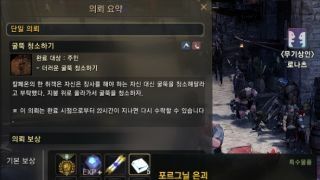 Stamina requirement to use the skill Retaliation has been removed.Fixed the graphical glitch with Maehwa’s hair when wearing a Santa Hat.Fixed the issue where Maehwa was thrown further than other classes when hit by Down Smash.Fixed the issue where Maehwa showed irregular movements in air when hit by Down Smash. Now you can attack instantly after Sudden Decapitation’s last attack when using the skill Drastic Measure.Energy gathering motion of the skill Drastic Measure will now gather monsters nearby to a spot in front of you.Hit delay of the skill Flow: Mach Explosion and Sura ChaoSpree has been adjusted.Movement Distance of the skill Ghost Step I~III have been increased when holding a Shortsword. 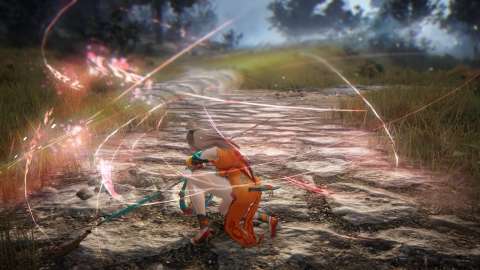 It doesn’t apply when he is in the air or concealed.Movement Distance of the skill Ghost Step I~III have been increased when holding a Sura Katana. It doesn’t apply when he is in the air or concealed.Basic AP of Ninja at Lv. 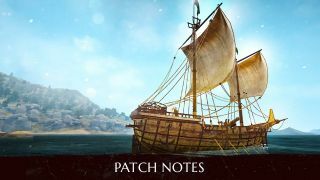 60 has been increased by 21.As a result, the PvE damage has been increased as well.PvP damage has been decreased by 7.8% to make a balance with increased basic AP. Fixed an issue where Shortsword was displayed when using the skill Lunar Dash from Quick Slot.Movement Distance of the skill Ghost Step I~III has been increased when holding a Shortsword. It doesn’t apply when she is in the air or concealed.Movement Distance of the skill Ghost Step I~III has been increased when holding a Sah Chakram. 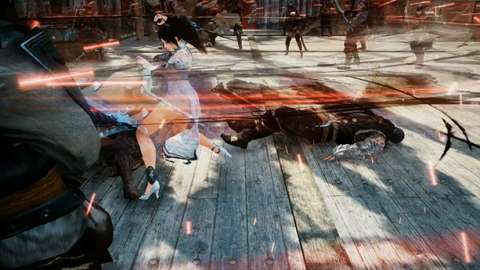 It doesn’t apply when she is in the air or concealed.Basic AP of Kunoichi at Lv. 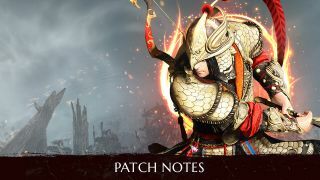 60 has been increased by 21.As a result, the PvE damage has been increased as well.PvP damage has been decreased by 7.8% to make a balance with increased basic AP.Fixed the issue of Ghost Step not commencing with the ↑ + ↑ command during Kunoichi’s Sah Chakram state. Fixed an issue where Striker stopped with Tab key but intermittently did not turn his weapon back in Gauntlet mode. Fixed the graphical glitch with Mystic’s Grolia Hat.Fixed the awkward motion seen when Mystic does continuous rolls on the ground with a pack.Fixed the graphical glitch with Mystic’s Dream Laced Underwear. Fixed an issue where some Wall Furniture were not installed fit in size. A crafting method of Artisan's Precious Alchemy Box from Imperial Craft Delivery has been adjusted.Artisan's Precious Alchemy BoxCraft with Elixir of Thorns x15 + Elixir of Will x15 → Elixir of Spells x15 + Elixir of Will x15. A new guide description for interacting the decorative objects for housing has been added. Fixed an issue with interior points.Fireplace can be overlapped with other furniture and still received interior points. HOLIDAY SALE is on!Save big on winter promotional bundles like the Noel Package and [Event] Snowy Winter Pet Package which will keep you warm and furry during the holidays.Little Monster Box that will earn you one of the 6 types of new monster pets has been added!For every purchase of a Little Monster Box, Pet Seals will be given and you can exchange these seals from the following NPCs:Pulvio, Pulia, Fresio, Irvin, and Geniefa. Pets obtained from the Little Monster Box can only be Exchanged with its own species. For example, a Golem can be exchanged with another Golem. A special edition for the winter, Snowflake Reindeer pet has been added! To celebrate the holidays, we have sent out coupons that can be applied to the entire Pearl Shop. Please make the best use of these! For details on the most anticipated sale yet, please click < Here > for the festive Holiday Sale page! Evasion of monsters in Demibeast Zone has been decreased by 10%.Gyfin Rhasia Flamen will now react naturally even when an enemy is behind. 4 of each Demol and Burmol monsters have been placed on northern and northeastern Ibellab Oasis. 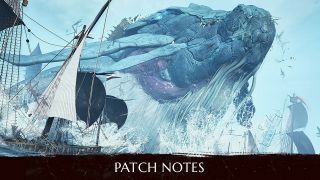 Item drop rate of ‘Trace’ items (Trace of Battle, Trace of Chaos, Trace of Death, Trace of Hunting, and more) from Valencia and Kamasylvia monsters has been decreased by 50%. 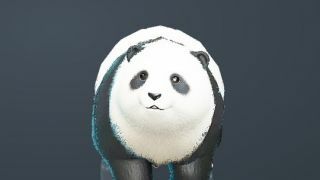 A quest [Combat Promotion] Uncomfortable Sea Otter can be accepted by characters with lv. 55 or higher. An optional reward of a quest You Are Such an Alchemist has been changed from High-Quality Paste Bait to Garlic Seed. Fixed an issue where you can buy Knowledge that you already have. 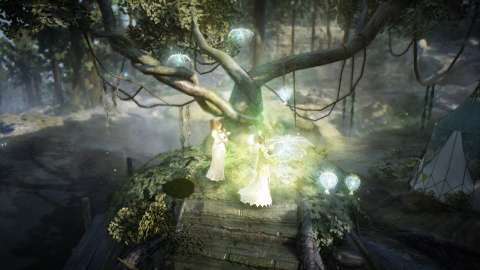 New Knowledge, “Awakening: Bring out the power within” can be obtained after completing each classes’ Awakening quest. For those who have already completed Awakening quests will receive the Knowledge manually. Conditions to receive a quest Wagon Gone have been changed. A new Knowledge Altinova Arena can be obtained from completing a quest Legendary Fighters. For those who have already completed the quest will obtain the Knowledge. Description of the knowledge Artisan's Precious Alchemy Box has been modified along with a change in crafting method. A new quest Black Spirit’s Gift (Maid) has been added.This quest can be obtained by summoning Black Spirit when your level is at 52 or above and completed.You can choose either Fairy Irene the Storage Maid or Fairy Irene the Transaction Maid.After choosing one and completing a quest, you are not allowed to exchange it.This quest is available once per account. The Pearl Box activating the effect which comes out upon purchase of a Pearl Box from the Pearl Shop has been removed. Fixed the issue of the Navigation Guide in the game and the Minimap constantly shaking. Fixed an issue where the menu was unevenly arranged on the Receive Dispatch window. Items with crystal(s) transfused in it will cause an alert to appear when you are trying to recover its Maximum Durability. Fixed an issue where the UI near characters (e.g. HP bar) was shaking. The location of the button on New Story Window and icons of Description and Knowledge have been adjusted. Fixed an issue where the first part of the navigation route was constantly shaking. Fixed an issue where menu was unevenly arranged on Receive Dispatch window. Items with Transfusion when restoring its max durability will be on alert. The guild skill Command to Gather on tooltip has been re-added. Fixed an issue where the maximum number on number keypad was changed when changing Balance and Storage Balance after buying multiple items. The maximum number of stackable items you can buy will now automatically be calculated from your character’s weight limit AND your remaining Balance/Storage Balance. Fixed issues where an icon of Clear Liquid Reagent in Crafting Notes was not displayed and where an icon of Beer Crate was displayed as Clear Liquid Reagent. You can buy non-consumable items as much as they fit in your weight limit. An icon of Rare Pet Box has been added. Level this up to consume less energy, and to speed up Harvest, Plant Breeding, Pruning and Killing Pests. Item tooltip and Enhancement - Amounts of given energy is now displayed. They will be in brackets. Fixed an issue where character’s HP was displayed on the top left. A button for Black Spirit’s Adventure has been removed from the ESC menu. Fixed an issue where a tooltip was not closed after closing a quest window. Description about Remote Collection on the bottom of Stable Screen has been added. A background that shows Guild Information, Guild Production Information, and Final Battle on Guild Window has been changed. The time to respond after hitting buttons on UI has been reduced from 1 sec. to 0.5 sec. Fixed an issue where a tooltip was opened when you received a new quest from chat. Fixed the issue where the Forward Guard shield icon sometimes appeared in the wrong place. Fixed the issue where the winter-themed overlay sometimes appeared strangely. Adjusted the knowledge entries for Edana and Gyfin Rhasia. The number of Seagulls that travel from a sea in front of Olvia to Velia has been decreased. Borders of areas near Calpheon City and Northern Wheat Plantation have been rearranged. Fixed an unnatural graphic of Northern Kamasylvia cliff area. Fixed an issue where the skill effect of Cartian's Protection was not distinguished by enemy/friends. Fixed an issue where a Statue sitting in Calpheon Parliament did not appear. You should now be able to use all contents normally while exiting Savage Rift, Final Battle (GvG), or Red Battlefield. Fixed an issue where characters sunk down when climbing up to the top of the Kamasylve Tree in Grána, Kamasylvia. Fixed an issue where you couldn’t come in front of NPC Altinova Wharf Manager when you were auto-running to him mounted on a horse. Fixed an issue where screen was getting darker after recognizing certain areas around Valencia Castle as a Valencia Castle Ancient Ruins Cave. Fixed an issue where the forehead of a Shai NPC in Port Epheria looked dark. Fixed an issue where diving effects were intermittently displayed. Fixed the protruding Wooden Fences in Trina Fort that made navigating difficult. Fixed the abnormal settings that appears when trying to sell a pet Crow on the Marketplace. Fixed the issue where Gold Key was dropped unusually often while fishing in certain fishing spots. Fixed the issue where it was possible to swim in areas in Kzarka Shrine and Abandoned Quarry even though there was no water. Fixed the issue where you could swim in the underground wall of Mediah Castle. Fixed the issue where a certain area in Glutoni Cave felt like it was underwater. Fixed the issue where you could gather Feldspar in certain areas at Battle Arena near Heidel. Fixed the issue where short-key such as I for Inventory would not work when you opened Marketplace from ESC menu and closed the window by clicking X button at the right-upper corner. Fixed the issue when the character would sleep under the Frosty Wood Bed.